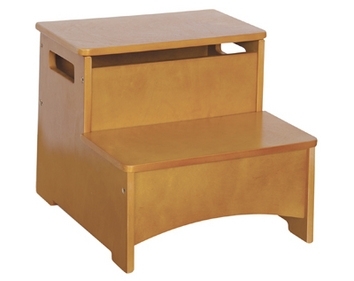 This adorable Mission Storage step stool by Guidecraft features wood steps with smooth edges. 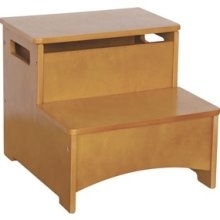 The Storage Step-Up features storage beneath the top step. Adult assembly required. For ages 2+. Weight capacity 80 lbs. Dimensions: 13 W x 14 D x 12 H - 11 lbs. Product ID: G86405.